Premiership Rugby has today confirmed that newly-promoted Bristol Bears have been handed the honour of opening the Gallagher Premiership Rugby season on August 31. The Bears – who are back in the top flight after a one-year absence – will face local rivals Bath Rugby at Ashton Gate in front of the BT Sport cameras in the only match on the Friday night. The fixtures have been compiled again with Atos, the company that works with the Premier League and English Football League. BT Sport will mark the kick-off of Gallagher Premiership Rugby by showing four live matches with a double header on the Saturday featuring Gloucester Rugby versus Northampton Saints and Exeter Chiefs hosting Leicester Tigers. Reigning champions Saracens have to wait until the final day of the weekend to kick off the defence of their title against Newcastle Falcons. “We are all excited about the upcoming season and the Gallagher Premiership Rugby fixtures coming out certainly adds to the anticipation,” said Mark McCall, Saracens director of rugby. The closure of Twickenham Stadium in September – for redevelopment work – means there will be no London Double Header this year. 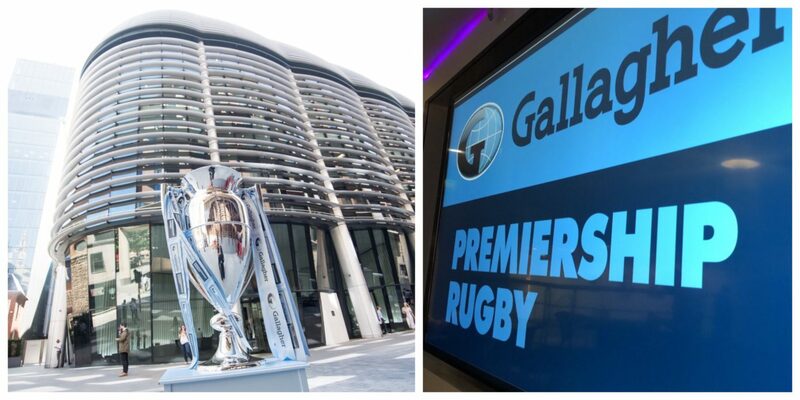 However, Premiership Rugby will break new ground on October 6 when the Gallagher Premiership match between Harlequins and Saracens is televised live on network TV in the USA on NBC (rather than NBC Sports) for the first time. The fixtures for the Premiership Rugby Cup will be announced at noon next Friday (July 13). 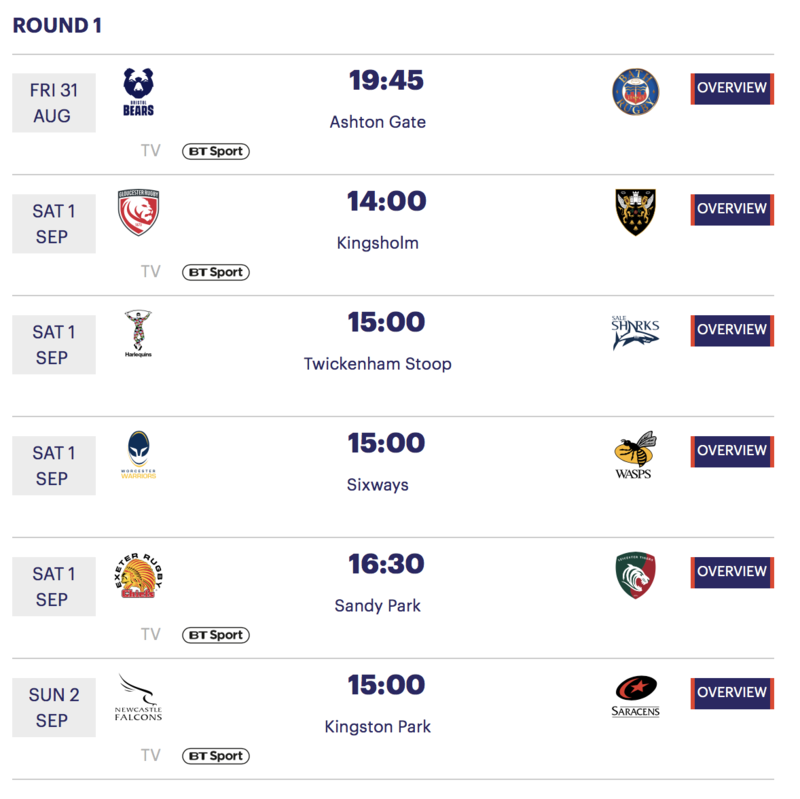 The best place to view the Gallagher Premiership Rugby fixtures are on the official Premiership Rugby app or CLICK HERE.